Fall has arrived! For those of us in Northeast Ohio, we look forward to the cooler temps, apple picking and pumpkin carving! We also look forward to the nationally recognized OCD Week. Ok, admittedly, only a select few of us look forward to that last one. The reason I look forward to it is because it’s an opportunity to increase awareness and education — and to clear up some misconceptions about Obsessive Compulsive Disorder. One of the first behaviors you’ll notice in kids is that they like things their way, especially young kids. After all, the memes and videos showing toddlers crying because some small thing didn’t quite go their way are numerous. And many adults refer to their “OCD tendencies,” because they prefer even numbers, or they’ll check rooms twice to ensure the television is off. These are not signs of Obsessive Compulsive Disorder. So what is Obsessive Compulsive Disorder? Obsessive Compulsive Disorder is a biologically based mental illness that tells the sufferer that horrible things will happen or that they’re a [fill-in-the-blank] person if they don’t perform [fill-in-the-blank] ritual to make the unbearable anxiety go away. These thoughts are obsessive and debilitating — they interfere with life. For instance, when 8-year-old Casey touches crayons, he worries about poison. He quickly washes his hands and then feels much better. Casey soon learns that washing his hands lessens his anxiety. However, Casey’s OCD is actually worsened by washing his hands because it prevents him from learning that his obsessions are improbable and that his anxiety will subside naturally. Still, as a parent, it can be hard to know what’s what, because worrying about our children is just what we do. The only true way to know if your child has OCD is to see a professional. It might help you to know, however, that it’s quite common. In fact, according to the International OCD Foundation, 1 out of 200 children have OCD. Yes! Absolutely! It’s highly treatable, in fact. I am personally trained in a treatment action called Exposure and Response Prevention (ERP). This scientifically proven course of action helps me teach parents skills to support their child’s recovery rather than enable the disorder. 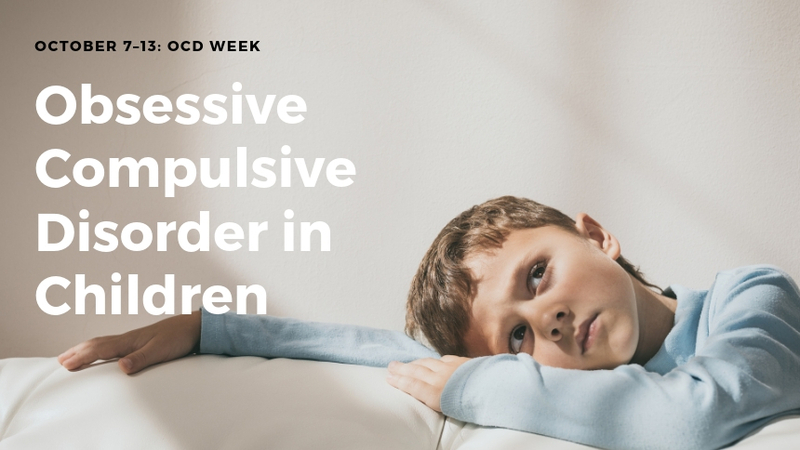 I cannot tell you the number of times I’ve heard someone say “My child saw someone who said they specialized in OCD. We just talked, and they gave me worksheets to complete.” This is not effective. What is effective is exposing them to their fears to show that the fears aren’t real and then changing their response, gradually of course. Contact me! Keep in mind that like most mental disorders, Obsessive Compulsive illnesses fall into a spectrum. So let’s talk and figure this out together. Let’s tackle this journey called life together! I am Joanna Hardis, a licensed independent social worker and therapist with a passion for helping people overcome complex challenges to lead high-quality lives. I provide therapist services for adult anxiety, panic disorders, social anxiety disorders, parent coaching, life skills coaching, divorce counseling and relationship counseling in Cleveland, Ohio and suburbs.